One of the things I miss about the UK is the access to the countryside, good walks, and a warm pub for a pint and meal. 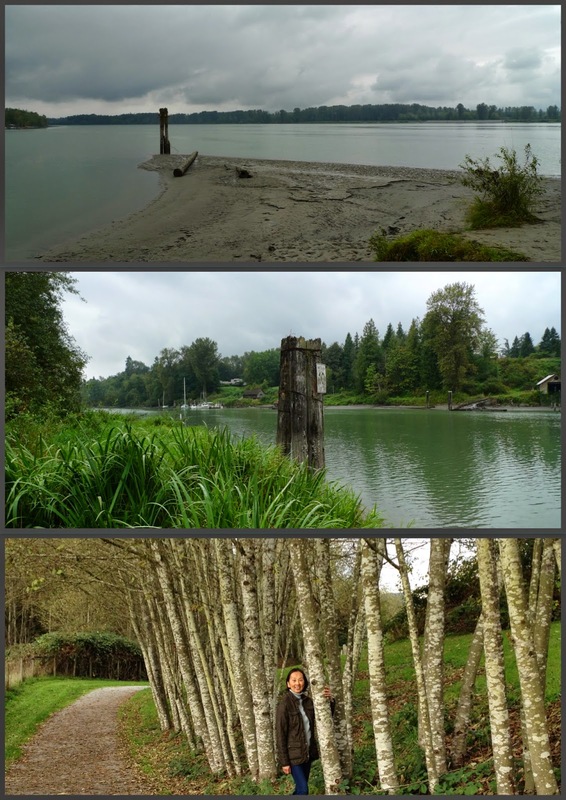 It was a pleasure to visit Fort Langley and walk the Fort-to-Fort Trail last week and re-kindle the charm of the countryside. An hour car trip away, or in my case ninety minutes on public transportation involving the Skytrain and two buses made for a leisurely morning commute. 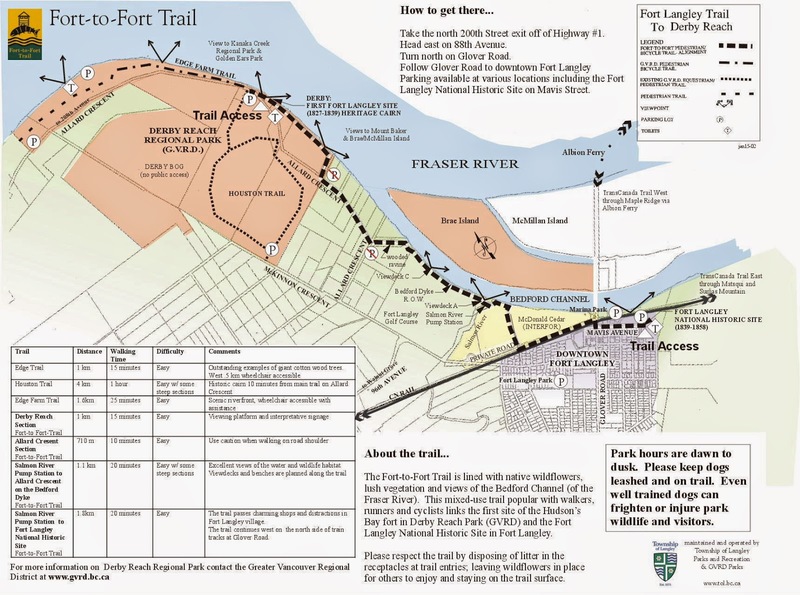 The Fort-to-Fort Trail links the original Hudson Bay Company location within the Derby Reach Regional Park to its current historic location in Fort Langley. The walk is a splendid mix of thicket, river views, marshes, and subtle grassy knolls along with an interesting history involving the HBC, its fur trading route, Anglo-American tensions, and the birthplace of British Columbia and of its original residents the Stó:lō “river” people. 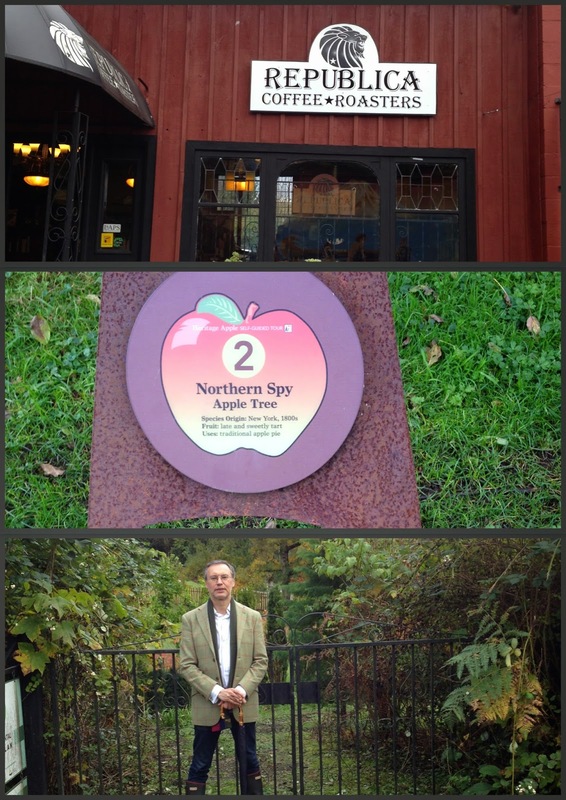 An interesting heritage apple tree selfguided tour is well worth part of the walk with trees planted by the HBC back in 1827. This walk is easy and gentle from the current starting point at the historic Fort through the town Centre and along the Bedford channel with its views of Brae Island on your right. 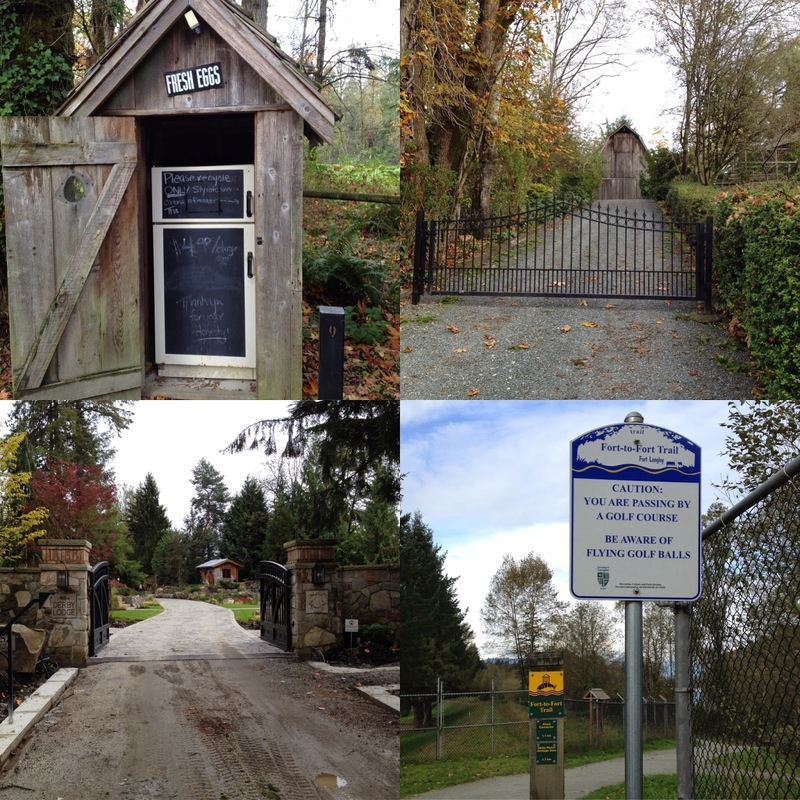 The trail deviates a bit along Allard Crescent home to gentlemen/hobby farmers. Walking this stretch is like a scene from Top Gear – expect to see lambos, Land Rovers, and Astons purr by the large gated estates. From here you meander through Derby Reach Regional Park and experience a bit of a change in grade about 14% over the course of the 4.6 km walk. Give yourself two hours to walk in both directions returning to Fort Langley town Centre for a bite and pint. Saturday November 22nd is Christmas Tree Lighting night a jolly good reason to pop out to the country for dinner, a stiff drink, and another Christmassy walk.